Are you passionate about a sport? About helping others? 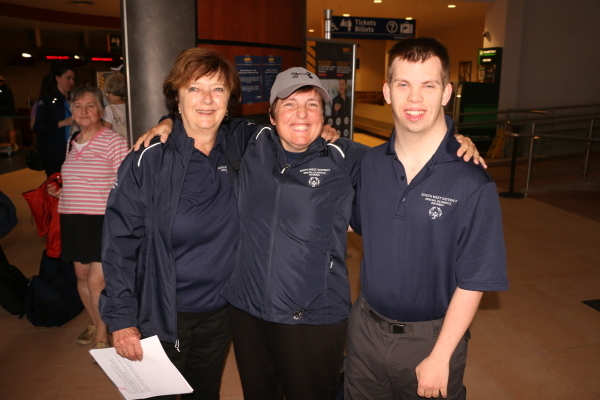 Special Olympics coaches around the world will tell you how rewarding the experience is. Knowing you have helped athletes achieve their personal goals and develop their skills is tremendously gratifying. Of course, you don’t have to do this on your own. With a fantastic group of volunteers and with coaching courses available in collaboration with the Coaching Association of Canada and within the National Coaching Certification Program, you’ll be ready to work with our athletes of all skill-levels. ​It’s a positive, life-changing experience and before long you won’t just be passionate about sport, you’ll be passionate about Special Olympics. ​​For more information on how you can get involved as a coach, please visit our volunteer page. You can also email our Volunteer Coordinator.